The Rybka Aquarium project is rapidly advancing on several exciting fronts. The latest addition is the first professionally prepared opening book in the native Aquarium format has been released just recently. The Rybka Aquarium opening book focuses on popular variations and covers all the latest theory. It’s an opening book no strong player can afford to miss! The Rybka Aquarium book was prepared by Jeroen Noomen, a Rybka team member who is responsible for Rybka’s opening book in its official competitions, including the World Computer Chess Championship which has been won by Rybka for two years running. Jeroen is a leading expert on opening theory, and his imaginative opening innovations have secured Rybka many critical wins. His research methods and analysis tools ensure that his opening books are of great interest to all chessplayers, from the club player to the strongest grandmasters. The book focuses on the best games of the top GM’s (2600 elo or more) in the past two years, as well as the best computer games of the past two years. Additionally, the Rybka Aquarium book is strongly supported by computer checked analysis, and will give you fresh and new ideas that are not published in any openingbook yet and can give you a clear edge in opening preparation compared to chess players that do not have this opening information available. The secrets of human and computer games! 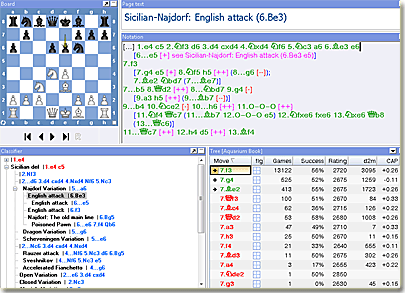 Most opening book authors ignore the vast number of available computer games, although they are high quality games and opening theory is developing rapidly in the computer chess circles. Since computer chess is Jeroen’s specialty he is in a unique position to combine the best of both worlds – human chess and computer chess – into a single opening book as he has done with the Rybka Aquarium book. 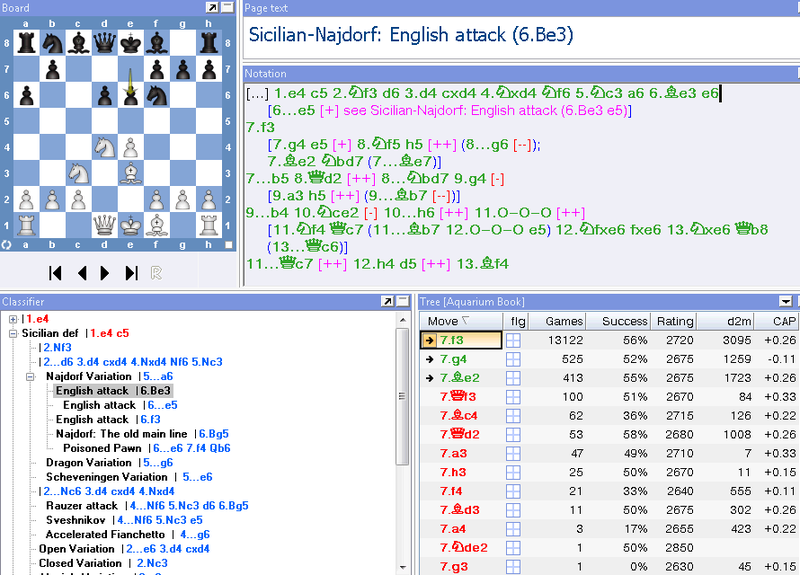 For over the board players, correspondence chess players etc. this means that they will discover lines and analysis that is not available in any other book. The Rybka Aquarium book consist on 11.5 million positions. It’s size on disk is 323 MB, which is surprisingly small for a book with this number of positions. If we compare this with a printed opening book containing 1000 positions on each page, you would need 11,500 pages to cover the number of positions in the Rybka Aquarium book. Together with Rybka Aquarium book you will also receive the latest CAP analysis files with more than 21 million Rybka analyzed positions. Its size on disk is 359 MB. CAP simplifies making a move choice and discovering weak moves. The CAP data covers some openings more extensively, especially those not explored heavily in the book. Rybka Aquarium book contains the classifier that allows quick navigating through book lines and getting additional information from it.